Sen. Kamala Harris, D-Calif., unveiled a bill Tuesday requiring carbon monoxide detectors in federally subsidized public housing, after an NBC News investigation showed how a widespread lack of the devices posed a threat to millions of low-income families. At least 11 public housing residents have died of carbon monoxide poisoning since 2003, but the U.S. Department of Housing and Urban Development does not require CO detectors, the investigation found. “These are preventable tragedies," Harris, who is running for president, said in a statement Tuesday. "We must act now to get carbon monoxide detectors in HUD housing to protect the health and well-being of the millions who reside there." Harris’ proposed legislation would require all public housing to have at least one carbon monoxide detector on each floor of each unit, based on standards determined by HUD. NBC News' investigation found that state and local requirements on carbon monoxide detectors are patchy and inconsistently enforced. Since HUD does not require detectors and therefore does not check for them during regular inspections, many residents of taxpayer-funded housing have little protection against carbon monoxide, a colorless, odorless gas that at high levels can kill in minutes. The elderly and young children, who make up a disproportionate number of the country's 4.6 million public housing residents, are particularly vulnerable to carbon monoxide's dangers. Harris visited Columbia, South Carolina, for the first time as a presidential contender in late January, a little over a week after two of the city’s public housing residents died of carbon monoxide poisoning and over 400 people lost their homes because of dangerous living conditions at the Allen Benedict Court complex. In the House, Rep. Joe Cunningham, D-S.C., and Rep. Jesús “Chuy” García, D-Ill., are bringing forward the same legislation requiring CO detectors. “This bill helps deliver that peace of mind among our most vulnerable by ensuring federally assisted housing have carbon monoxide detectors,” Cunningham said in a statement. García described the bill as "straightforward, life-saving legislation." "No one living in America, especially those in federal, public housing, should have to worry if they will die from carbon monoxide poisoning in their own homes," he said in a statement. When asked about the bill, HUD said the agency was in "total agreement" that all housing should be safe and healthy for families. "This is a top priority for the Secretary and HUD is currently engaged in a top-to-bottom review of the Department’s inspection standards to protect these families from carbon monoxide and other home health and safety hazards," said HUD spokesman Raffi Williams. The legislation would cost an estimated $10 million over 10 yers, which would be used to assess how many carbon monoxide detectors are needed and to cover the initial cost of purchasing the devices, according to Harris’ office. The measure would require detectors in all HUD properties, including buildings owned by public housing authorities and privately owned rental apartments that are federally subsidized under programs such as Section 8. The announcement of the bill follows a letter from housing advocates Monday demanding that HUD Secretary Ben Carson take emergency measures to protect public housing residents from carbon monoxide. 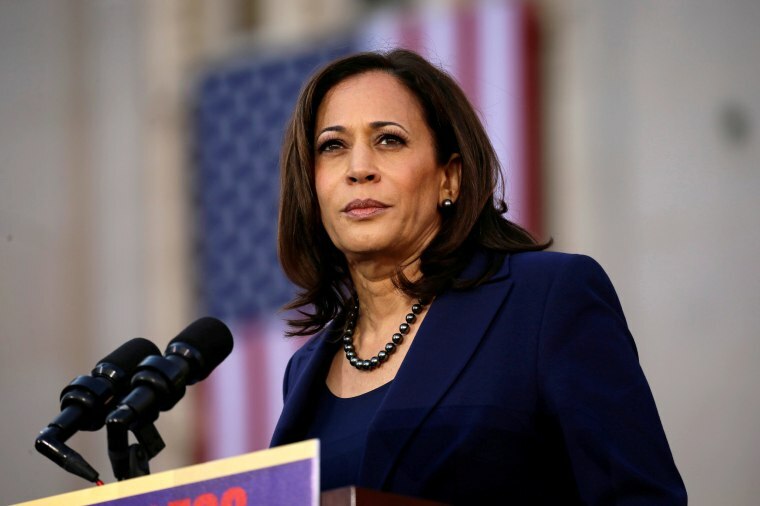 Harris is among the 2020 candidates who have sought to make affordable housing a priority. She introduced a rental subsidy bill last year.